On his campaign website for Ohio’s 90th District House seat, Portsmouth resident Scottie Powell describes himself as “a faith-based leader known for positive results.” The roots of the “faith-based” portion of the slogan are not hard to find. Powell’s father is a minister, as are his two brothers. “I didn’t get that bug,” Powell says, adding that his call to serve led him in a different direction. That direction turned out to be healthcare, perhaps especially for senior citizens. 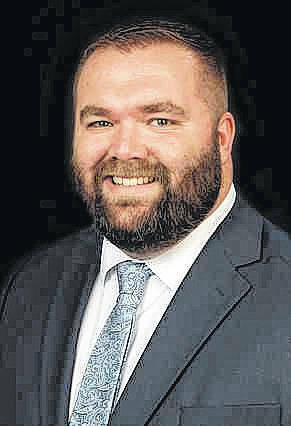 Powell, 34, has a master’s degree in health administration, and while he spent the last four years or so working for the Ohio Bureau of Worker’s Compensation, he began his career as marketing director for the BridgePort Health Care Center in Portsmouth. He claims to have been integral in bringing a multimillion-dollar rehab center to the city. Powell later moved to the Concord Health and Rehabilitation facility in Wheelersburg. He said that at the time, Concord was on a list to be shut down by the state. Powell claims that under his leadership, the center was able to turn around its overall outcomes, and was removed from the state’s hit list. Powell has resigned his position with the state BWC office, but before doing so, he says he was able to negotiate the arrival of a satellite call center in Portsmouth, adding the project brought 11 of what he considers to be good-paying jobs to the area, jobs that will generate more than $500,000 in payroll and benefits annually. Powell is married with two small children, and indicates his family is one big reason he decided to run for public office, something he has never held in the past. While Powell has spent the last several years working in Columbus, he has lived in Portsmouth and made the long daily commute to the state capital. He says he wants Portsmouth to be a city of which his young children can be proud and would like to stay in when they grow older. Powell believes job creation is the No. 1 priority facing the city and the key to its future, as well as the key to retaining younger populations such as his children. Powell is quick to admit other candidates in the race are likely to talk about job creation as well. But he believes he has a skill set and a proven track record of saving existing positions and bringing new jobs to the area. “People have the option to drive right by,” Powell says, but adds that compared to Portsmouth, that city is doing quite well. Powell touched on one other subject during an interview with the Portsmouth Daily Times that being what he says is a widespread and well-known opiate addiction epidemic plaguing this area. Powell says there is no “silver bullet,” no simple solution to the problem, but advocates what he calls a multi-pronged approach. That approach includes health education and other steps, he says, adding he believes there must be a ministerial component to solving the opiate situation. term limited out and cannot run for reelection. According to Powell, all of the candidates, Democrat and Republican, are newcomers to the political scene. The only candidate currently holding office is Republican Adams County Commissioner Brian Baldridge.